Mish's Global Economic Trend Analysis: Bank of Japan Buying Over 100% of Japanese Bond Issuance; Steen Jakobsen Expects "FantasyLand Will Give Way to RealityLand"
Bank of Japan Buying Over 100% of Japanese Bond Issuance; Steen Jakobsen Expects "FantasyLand Will Give Way to RealityLand"
Steen Jakobsen has some interesting comments on China and Japan in his latest email. Steen discusses China's "official" PMI which is different than the Markit PMI on China that I covered earlier (see Weaker China PMI, Especially New Orders and Exports). 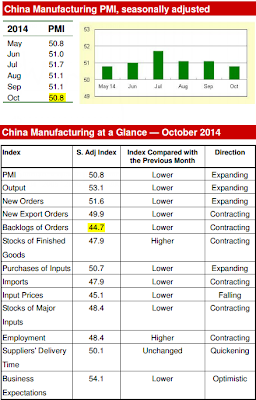 China's official manufacturing PMI report just came out – and it’s weaker than projected. The print was 50.8 vs. 51.2 expected. 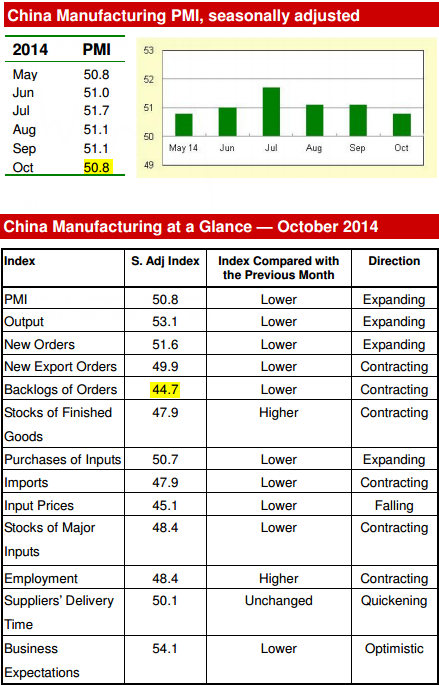 Orders backlog looks especially weak. 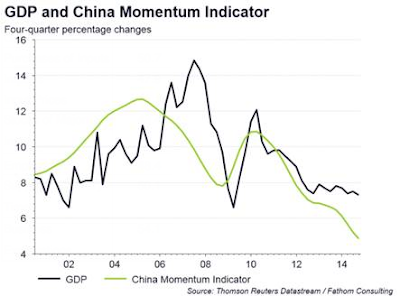 Fathom Consulting in London is calling for China’s growth to slow to 5 percent over next year or so. Not sure I fully agree, but it’s certainly possible. Japan QE Infinite (Helicopter money next) – BOJ is buying more than 100% of issuance from Ministry of Finance now! Yes, world should rejoice, take stocks & US dollar higher making sure EM engine is killed totally.... the “surprise” will be that China gets desperate before ECB does, as China clearly has voiced unhappiness with Japan’s policy of devaluations. World only has two engines of growth: EM and US... both are running out of fuel.....US corporates enjoyed 14 years straight years of weaker US dollar – in S&P 500 46% of sales is from overseas, profit has risen 3x faster than sales since 2009, 2y money up considerably in price. Derivative views of that being: Sharp sell-off in UK housing (and Middle East, Norway, Australia – where lending to mortgages is close to 70% of lending in many banks), Low in inflation expectations by Q1 early (signal buy on Gold and metals)……. Working on Outrageous Predictions 2015 – input very welcome. Disinflaton/deflation will be the catalyst for asset sell off as Fantasy-land is replaced by Reality-land. China to get desperate before ECB does, as China has voiced unhappiness with Japan’s policy of devaluations.